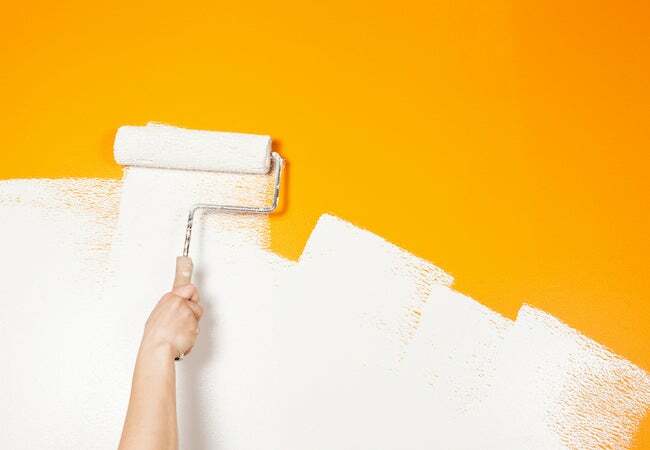 No need to watch paint dry—here's how long you can expect it to take to get a smooth, even finish. If you’re taking on an interior painting project, you’ll want to ensure each coat is completely dry before adding another. This essential—and often overlooked—step is key to preventing uneven texture and visible smudges. The optimal drying time, though, depends on a lot of factors. One is the type of paint you’re using. Latex tends to dry more quickly than oil-based paint. So, with latex, you can usually apply another coat within four hours, while with oil-based paint you’ll need at least 24 hours of drying time. Your method of application is also important: Brushes usually create thicker coats of paint that increase the drying time, while rollers produce thinner, more uniform layers that dry more quickly. Temperature, humidity, and ventilation also impact the magic number. Use air conditioning to maintain a consistent environment as well as safe air circulation. Latex paint is best applied when temperatures range from 50 to 85 degrees Fahrenheit, while the ideal range for oil-based paint is 40 to 90 degrees Fahrenheit. (If you start painting when the forecast is outside either range, you can expect longer times between coats and/or poor-quality finish.) Check the label on your paint for drying times. If you’re still not sure the surface is ready, err on the side of caution and give it a bit more time.